The Particle group contains all the basic settings for the particle's appearance. Controls include Size, Opacity, Color and how these properties vary over the particle's lifespan. Life controls how long the particles live, as measured in seconds. High values give a long particle life but can lead to slow rendering. Low values give a short particle life. When keyframing this parameter, all particles born at a certain frame gets a certain life length. Life Random sets the randomness for Life, as measured in a percentage. When non-zero, the particles do not die all at once. Instead they get slightly different life lengths. This is useful for creating natural looking effects like trails. When the value is set above 0, the particles get slightly different lifespans. Higher values means the randomness is higher, and the particles have more variation in length of life. Determines what kind of particle is emitted. Review the Particle Type page for more information. Controls the softness of the following Particle Types: Sphere, Glow Sphere, Cloudlet and Streaklet. Grayed out for the other Types. Low Feather values give the look of sharp circles. High Feather values give a more organic, smooth look. Left to right, Sphere Feather set low and high. Particle Type is Glow Sphere. The Texture group control the custom layer, or 'texture', used for the Sprite and Texture Polygon particles. Read more on the Texture Group page. The Rotation group rotates the particles independently on the X, Y and Z axes. You can even give the particles a random rotation so they rotate in different directions. Read more on the Rotation Group page. Size sets size of the particles. High values create a larger particle. When keyframing this parameter, all particles born at a certain frame gets a certain Size. Size Random sets the randomness for Size, as measured in a percentage. When non-zero, the particles get slightly different sizes. When the value is set above 0, the particles get slightly different sizes. Higher values means the randomness is higher, and the particles have more variation in size. Controls how the particle size varies over the particle's life. Opacity sets the opacity of the particles. High values give a higher opacity. Low values give more transparency. 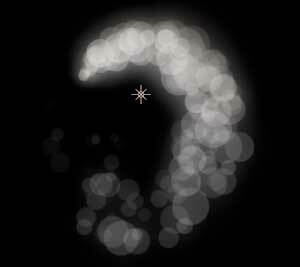 When keyframing this parameter, all particles born at a certain frame gets a certain Opacity. Opacity Random sets the randomness for Opacity, as measured in a percentage. When non-zero, the particles get slightly different opacity. When the value is set above 0, the particles get slightly different transparency levels. Higher values means the randomness is higher, and the particles have more variation in opacity/transparency. Controls how the particle opacity varies over the particle's life. 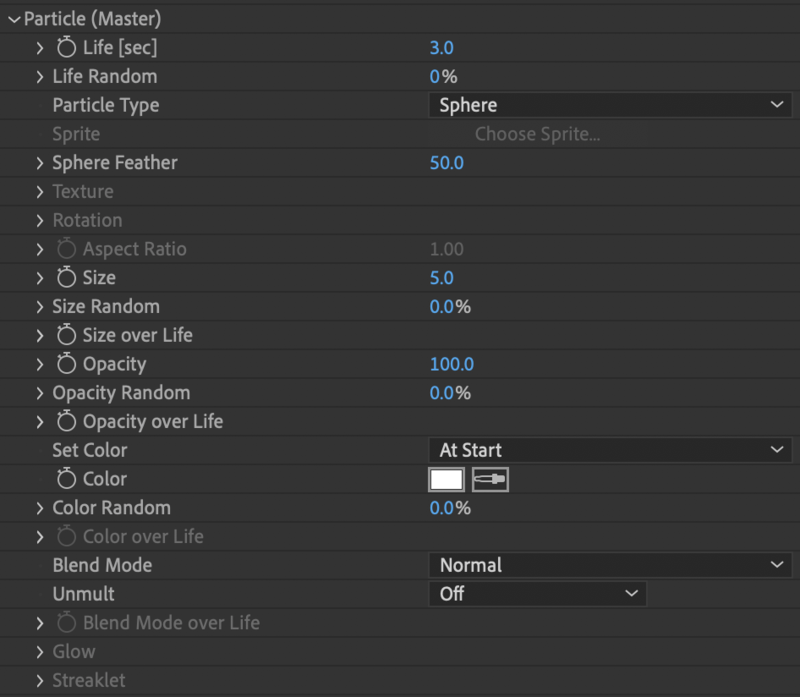 Set Color is the method for setting the particle's color. There are four options. Each option activates other color-related Particle parameters. 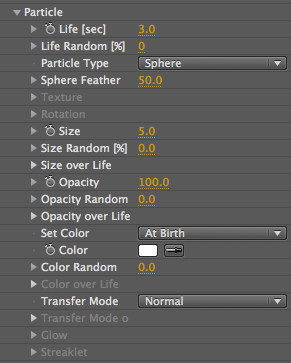 At Birth: Set particle color at birth and keep over lifetime. Use the Color parameter below to set color. Over Life: Use Color over Life so particle's color can vary over life. Random from Gradient: Select a random color from the colors in Color over Life. From Light Emitter: The new default behavior is for particles to NOT use the comp Light's Color value. This option gives the version 1.5 behavior of particles using the color from the Light. 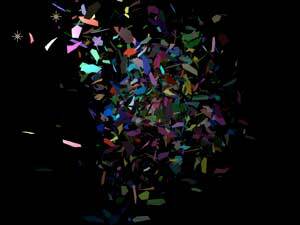 Color controls the particle's color. Active when Set Color is set to At Birth. There is no numeric value for Color. When keyframing this parameter, all particles born at a certain frame gets a certain color. Color Random sets the randomness for Color, as measured in a percentage. When non-zero, the particles get slightly different colors. When the value is set above 0, the particles get slightly different coloration Higher values means the randomness is higher, and the particles have more variation in color. Left to right, Color set to white and green. Left to right, Color Randomness at 0, 50, 100. Color is white. Controls how the particle color varies over the particle's life. Active when the Set Color popup is set to Color Over Life. Read more on the Over Life page. The Transfer Mode controls how particles are composited together. There are six options. Lighten: Lightest color wins. Similar to the max operation. Does not "build up" like add and screen. Normal/Add over Life: Gives the ability to switch between and smoothly blend normal and add modes over life. Normal/Screen over Life: Gives the ability to switch between and smoothly blend normal and screen modes over life. Transfer Mode over Life: Controls how the particle transfer mode varies over the particle's life. Active when Normal Add or Normal Screen mode is selected. Read more on the Over Life page. Mode Over Life is useful when transforming one particle volume into another set of particles. For example, let's say that you are creating flames that turn into smoke. While the particle is in the flame, the Transfer Mode should be add or screen, since flames have additive properties. 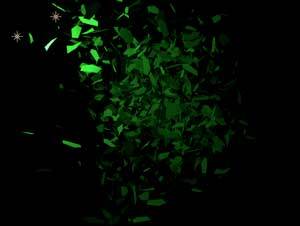 Later on, as the particles becomes smoke, the Transfer Mode should be Normal since smoke has obscuring properties. Only active when particle type is Glow Sphere or Star. Glow Size is the relative size for the glow compared to the particle. Opacity, Feather and Transfer Mode controls the look of the glow. Read more on the Glow group page. This is a new section for a new kind of Particle Type. Read more on the Streaklet group page. This is a feature that appears in the After Effects interface, not in Particular's Effect palette. The current number of particles in the simulation are displayed in the Info window during render. The particle count is useful when trying to optimize a render. Total is the total number of particles at the current frame. Visible is the number of particles actually visible in the frame, others may be behind the camera or on the sides. Normally the Visible count is less than the Total count. This is flipped when Motion Blur is enabled on account Motion Blur creates in-between particles that do not contribute to the Total count, but they do contribute to the Visible count.